This lively new adaptation of the beloved Charles Dickens Christmas story returns for a fifth year to the Long Beach Playhouse. In this timeless tale, grumpy old miser Ebenezer Scrooge is given a second chance at becoming a loving and generous human being. Through the aid of three spirits who visit him in turn one Christmas Eve, Scrooge is taught valuable lessons about how to treat those around him. 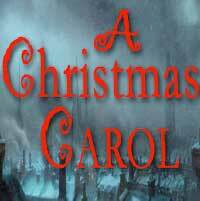 Will Scrooge catch the holiday spirit and save himself in the process? This dazzling tale of redemption and forgiveness captures the true spirit and magic of the holiday season for the whole family. This show is recommended for all ages.